I find it difficult to finish knitting projects for things that are pairs. I get the first one done and then months or years can go by before I get around to finishing the other half of the project. This project was one of those…. I finished the first mitt back in October and stalled out on the second one about half way through (where the next set of fancy knitting steps were needed). I finally finished it yesterday! 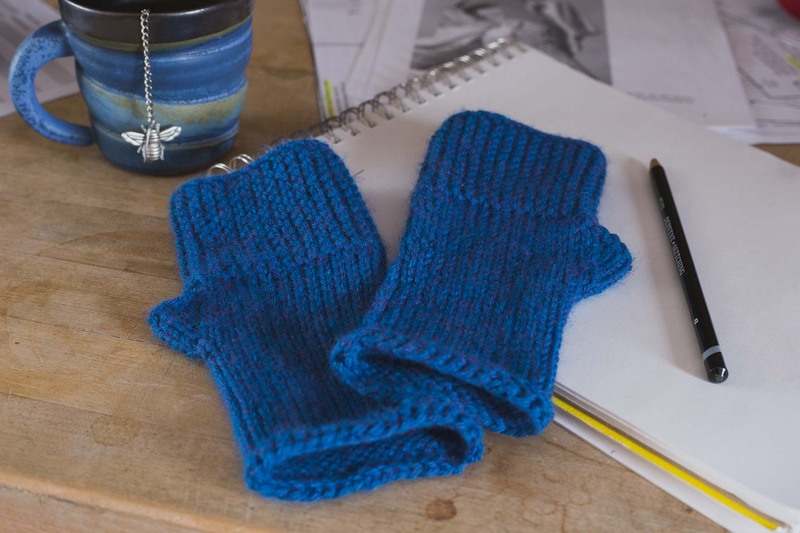 The pattern is Camp Out Fingerless Mitts. I used Berroco Vintage in the Juniper colorway and size 7 DPNs. 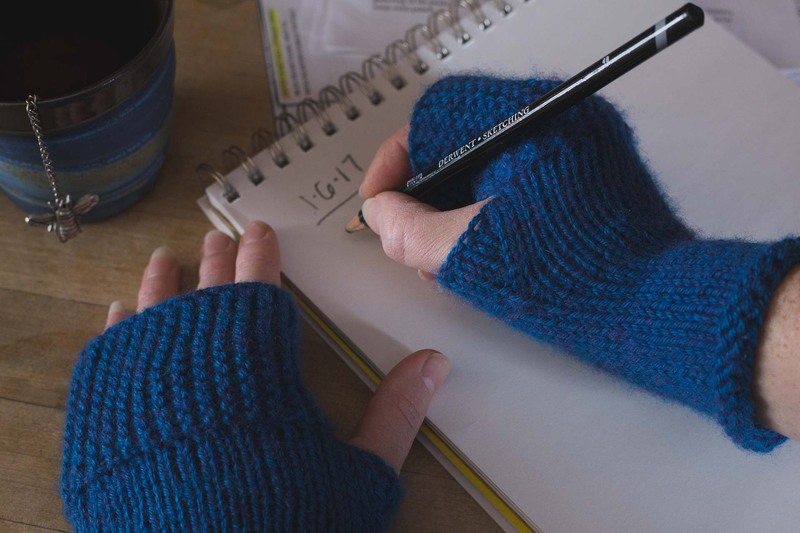 I made a few changes to how I knit this pattern – I added two purl rounds to the cuff and used Jeny’s Stretchy Bind Off. This is a really easy pattern for an advanced beginner. You start with the garter stitch ribbed top, then you’ll pick up stitches around the bottom edge of that and knit down to the cuff. It is a fast knit – which is a great reason to choose this pattern. I use Ravelry for most of the patterns that I knit from – there you will find tons of free patterns, and the knitting and crocheting community is full of advice and inspiration. For the stitches that I don’t know – I go to New Stitch A Day for tutorials. I love this site for many reasons – but one is because the site’s founder is male. I feel like there has always been some major discrimination and inequality when it comes to men in the fiber arts and Johnny Vasquez is breaking down that barrier.